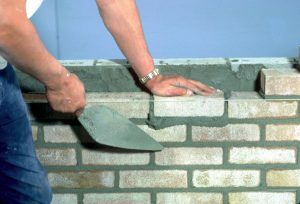 You are here: Home | News | Cellulose Ethers | What are the basic requirements for masonry mortar? First, masonry mortar is required to have good operability, including liquidity, cohesion and thixotropy. The mortar with good operability can easily form a uniform thin layer on the surface of rough block materials, and can be tightly bonded with the bottom surface. The use of mortar with good operability can not only facilitate the construction operation and improve the labor productivity, but also can ensure the project quality. Meanwhile, masonry mortar should also have good water retention, avoiding that too early and too much adsorption of moisture in the mortar by block materials affects the further hydration of cement. Next, the hardened mortar is required to have a certain compressive strength and bond strength, so as to ensure the strength and integrity of the masonry. What is the water-retaining and thickening material?